Massive delays in counting and allegations of rigging dominated the early hours of Thursday in Pakistan, where official poll results were still awaited even 15 hours after voting ended. Preliminary results indicate Pakistan Tehreek-e-Insaaf (PTI) has obtained a clear edge over other parties with 119 in their kitty as unofficial results continue to pour in. Although PTI workers and supporters started celebrations before the final results, no statement — or even a tweet — has been issued by the former cricket himself on the victory. His spokesperson Naeemul Haque, however, tweeted that the PTI chief will “address the nation” at 2 p.m. “in celebration and recognition of the massive support received from the people of Pakistan in the 2018 elections which was a contest between the forces of good and evil”. In Punjab, with preliminary results from 50 percent polling stations available with ECP, PML-N is currently holding its lead on 129 provincial seats but PTI is closing in with a lead on 122 seats. 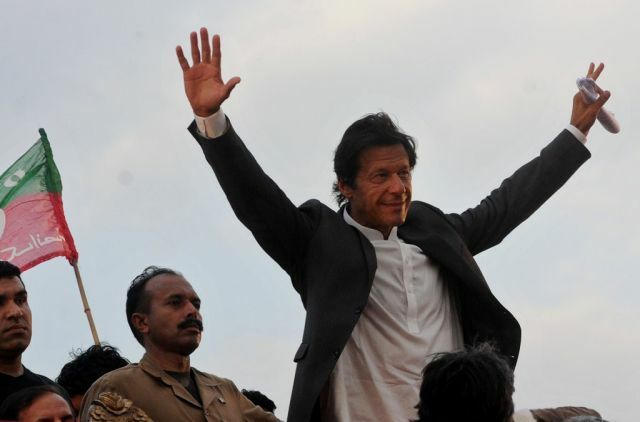 Imran Khan’s party is clearly steering ahead in Khyber-Pakhtunkhwa with a lead on 64 seats against Muttahida Majlis-e-Amal (MMA), which is currently leading on 12 seats, as per reports from 35 percent polling stations in the province. The preliminary results from 37 percent polling stations in Sindh show PPP-P leading on 75 seats, followed by PTI on 22 seats. In Balochistan, Balochistan Awami Party (BAP) is leading on 12 provincial seats, followed by Balochistan National Party (BNP) on nine seats, based on unofficial results from 35 percent polling stations. The voter turnout was recorded at 50-55 percent of the nearly 106 million electorates, similar to the previous electoral contest in 2013. Pakistan Muslim League-Nawaz (PML-N) President Shahbaz Sharif at a mid-vote count press conference said his party rejects the poll results. In a tweet, he said the party had rejected the results “due to manifest and massive irregularities”. Pakistan Peoples Party Chairman Bilawal Bhutto Zardari also said he had not received any official results from any constituency where he was contesting, despite it being past midnight. “My candidates (have been) complaining (that) polling agents have been thrown out of polling stations across the country. Inexcusable and outrageous,” he tweeted. A delay has been reported in the transmission of election results due to the breaking down of the Election Commission of Pakistan’s Results Transmission System (RTS), which is being run through a software powered by National Database and Registration Authority (Nadra). The Election Commission’s secretary Babar Yaqoob flatly denied allegations of vote count manipulation. Shortly before Sharif spoke, state television said that just one-fifth of the votes had been counted so far — an unusually slow count that further fuelled suspicion of rigging. Yaqoob said the vote-counting system, which was untested, had “crashed”, adding: “There is definitely no conspiracy, no one wants to influence the results”.